CMOs and CIOs must work together to deliver compelling customer experiences. Arlene Wherrett has some tips on how they can work in harmony given their different goals and alliances. To successfully deliver customers’ digital expectations of easy access to information, when they want it, how they want it, and from wherever they are, means getting to know your customer as people, not transactions before you can drive deeper engagement. No wonder 85% of CEOs say getting closer to their customers is a top strategy, according to a recent IBM study. Delivering against this expectation and driving digital engagement takes executive vision, customer insight, flexible technologies and great employee alignment across traditionally siloed business units. We’ve found one of the biggest barriers to delivering an integrated digital customer strategy has less to do with the technologies deployed, and more with aligning executives and employees around a single, shared vision. The most influential ‘power couple’ these days to deliver against this digital expectation is the relationship between an enterprise’s chief marketing officer and chief information officer. Why is that? According to Gartner, by 2017 the CMO will spend more on IT than the CIO. Marketing departments are purchasing significant amounts of technology and services from their own capital and expense budgets. Why? These two executives have a critical role today in helping to craft a customer obsessed vision and strategy to deliver what customers expect from your business today. In the past, marketing and IT have been like oil and water. But now leading CMOs and CIOs know they must align to gain a competitive edge in the marketplace and develop a joint strategy that is helping to produce some of the most innovative, customer-focused solutions we are seeing in the market today, at companies like L’Oreal, Stanley Black & Decker and GlaxoSmithKline to name a few. Here are a couple main reasons why a rift exists between the two roles and what you can do to overcome these obstacles. The CIO has traditionally aligned and built relationships with the CFO and vice president of sales, AKA the purse strings. Rightly so, some may say, but CMOs have been consuming technologies – whether the CIO knows it or not. The technology toolkit for CMOs has nearly tripled in the past 16 months and it’s growing every day. CIOs can’t ignore this purchasing power. We’ve seen this most prominently in the rollout of CRM solutions, where marketing might not have even been part of the implementation. Marketers have a need for speed – they are driven by customer demands. Consistently there is a new social channel to manage or new mobile innovation to reach consumers. Marketers need to produce more, better and faster, but to do this they need operational excellence. That is why we have seen a rise in the implementation of marketing automation platforms. Marketers need to automate and drive marketing productivity. Although driving productivity has always been measured and focused on the sales side of an organisation, educating the CIO on the value of marketing operational excellence is key. Marketers are becoming more tech and data savvy, but need to work with IT to understand their constraints in a heavily compliance and regulated environment. Just look at the recent Can-Spam laws going into effect in Canada. IT governance and standards are in place for a reason, so sitting down to work together will go a long way. Aligning around customer demand and desires will help bring priorities and focus to the CMO and CIO relationship and meet customer’s digital expectation. And to drive customer engagement you need to deliver a consistent experience across all business units and departments – not just marketing and IT. 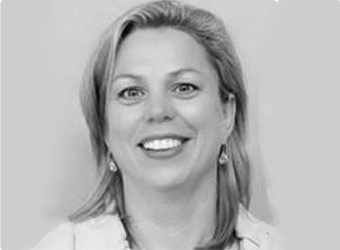 Arlene Wherrett is Bluewolf’s managing director Aus/NZ, based in Sydney.